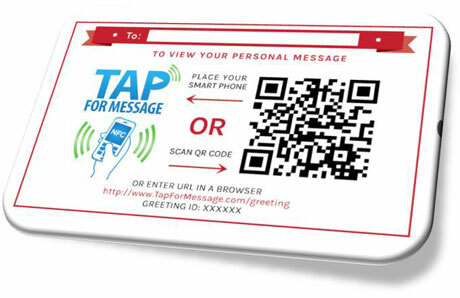 US-based startup Tap For Message is using NFC to add personalised audio and video messages to greeting cards, stickers, hang tags and gift card holders. NFC phone users can record their message using their smartphone before transferring the greeting to the gift or card by tapping the tag embedded in the gift label. The gift recipient then just taps or scans the label with their own phone and the message is played on their handset. The labels can also be used for invitations to weddings, parties and corporate events, and the company offers integrated solutions for internet retailers so that buyers can send video messages with gifts they buy online. I think this is a great idea for the future of gift cards. It also helps them to be more personal and shows you have put more effort into the process.